Editor’s note: This post was originally published on Medium, reposted with Franck Nouyrigat’s permission. Yesterday in DC, I had the honor of talking about startup ecosystems and the mechanics behind hypertribes like Startup Weekend. 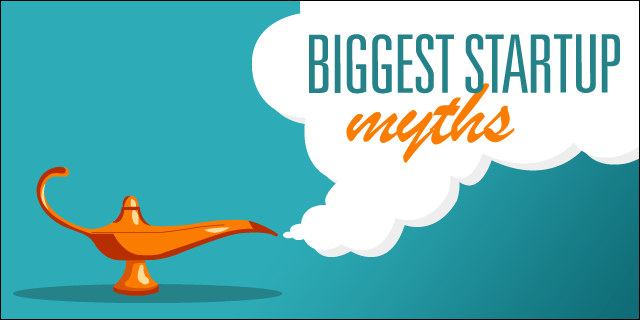 As part of our discussions, I addressed my favorite subject: startup mythbusting. I’d like to share with you some of the major myths I’ve been fighting against in the past five years. Most of them rely on some solid academic observations (and others are just from me). Please share these around to make the entrepreneurial world a better one! Steve Blank’s statement is an important one, as it opens the door to rethinking our academic teaching methodologies. While startups are earlier versions of large corporations, they do not behave the same way and they are not achieving the same function: startups are about searching for business models, while large corporations are about surviving as leaders. Read Blank’s book if you have not already (coauthored with Bob Dorf). Noam Wasserman, who famously wrote The Founder’s Dilemmas, addressed the main reason why 65% of VC-backed startups fail. Resolving issues within startups’ core teams is more important than finding customers. If you’d like your venture to survive, be sure to focus on finding the right cofounders. Jared Konczal, who works at the Kauffman Foundation, wrote an important blog post analyzing some of the existing (yet rare) accelerator data. In a time when everyone is praising and launching accelerators, it might be a good thing to remind policymakers and VPs of large corporations that if you exclude Y Combinator, startup accelerators are not doing an excellent job at creating startups! The same goes for venture funds making less money than they are spending on startups (see this Kauffman paper). Let’s face it: “mentors” might be the most over-used word after “entrepreneurs” in our little startup world. Who here is not already a mentor? However, as with mushrooms, be careful: some are good but most of them are trippy or even worse – toxic. A real mentor is someone who has done and achieved what you’d like to become. Most of the greatest mentors rarely provide advice; instead, they ask the right challenging questions and hopefully open up their amazing network if they end up liking you (again, it is not about your startup)! Robert E. Litan (formerly director of research at the Kauffman Foundation) recently coauthored this paper. To keep it simple, he explained that never before in America have we seen such a low level of new business creation across all industries. Worse, when people lose their jobs, it takes them forever to relocate. Meanwhile, you hear and see hundreds of stories about new startups and a booming new economy! Remember this is a side effect of VCs distorting the field of reality: if we want our economy to grow (especially in Europe and America), we need to go mainstream and share the lessons learned by tech startups with every type of business! Loads of crazy gaming tech has been launched at CES this year. We round up all the best and most exciting models from brands such as Razer, Vive, Lenovo and Asus including crazy 17-inch convertible laptops and 44-inch monitors. It's no secret that networking can help you get a job. But where do you start? We did some serious research to find out which US cities were the best for networking, so you can find a job with your charisma rather than your resumé alone. Franck Nouyrigat is the cofounder of Startup Weekend. Prior to Startup Weekend and after a couple of years as an Open Source Hacker, he launched the first Crowd-funded Customer Buyout in the world. Franck is currently working on developing 21st-century style corporate innovation based on his Startup Weekend experience (with Coca Cola, the World Bank, Microsoft …) His favorite song is "Eye of the Tiger"! You can follow him on twitter : @peignoir.